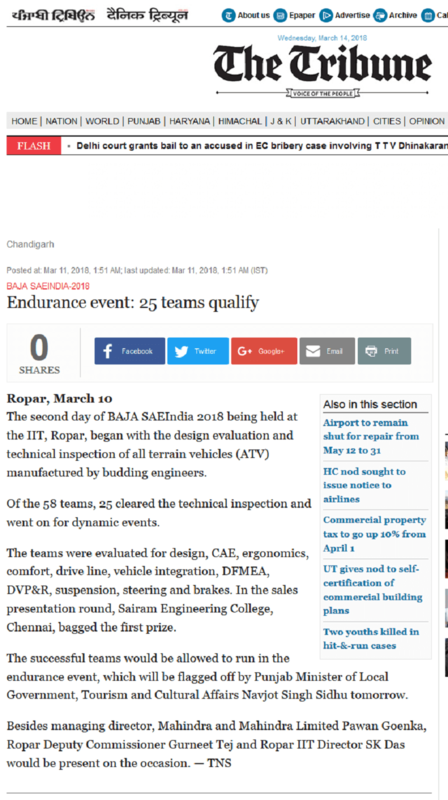 SAEINDIA is a strategic alliance partner of SAE International registered in India as an Indian Non profit engineering and scientific society dedicated to the advancement of mobility industry in India. Sri Sai Ram SAE Collegiate club was started in the year 1997 with the intention of giving exposure in the field of automotives to the budding mechanical engineers. 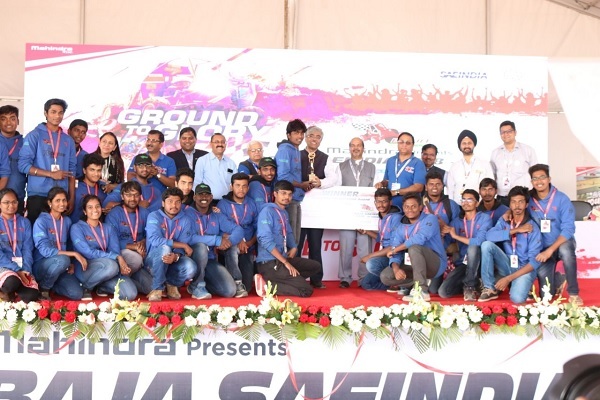 SAE-BAJA is one of the exciting All Terrain Vehicle Challenge event conducted every year in the National Level to bring out the best of technical skills from the participating team. 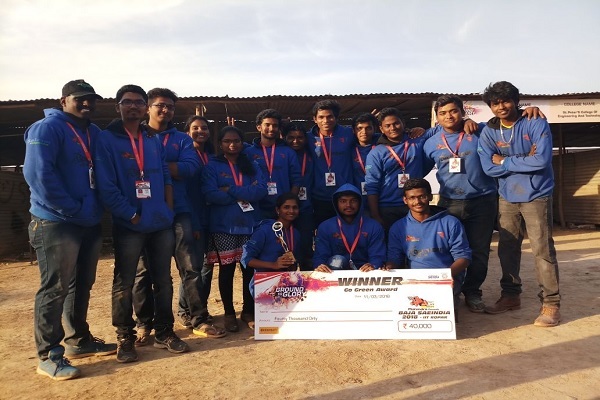 This year our Team of 25 students named as “Team Rocketeer Racing “ have participated in this event and given their best to compete with other top universities and engineering institutions in the country. The first Round known as Virtuals which is a pre qualifier round was conducted during 14th and 15th of July 2017 at Chitkara University, Chandigarh, Punjab. Out of 180 teams our team secured 31st rank. The fabrication of the vehicle started thereon with a spirit to give a tough competition and ultimately grab the success. 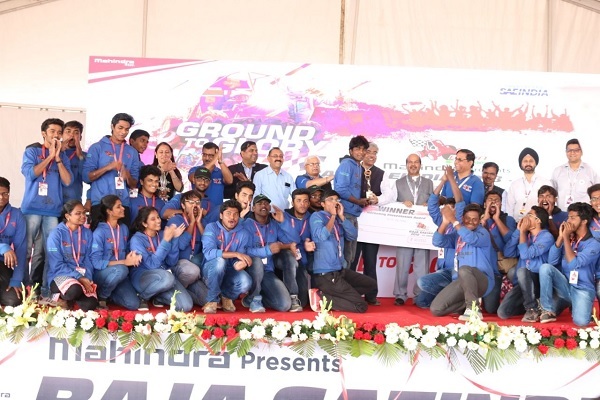 The concentration was given to ensure the vehicle meets the guidelines given as per the rule book and bring in more innovation to attract maximum points. This year the Main event was conducted at two different dates at two different venues. The first event was held between 24th January to 30th January 2018 at Natrip , Pithampore, Madhya Pradesh and the second event was held at IIT Ropar, Punjab between 8th to 11th march 2018. Our team has participated in the IIT Ropar and has outstood the top Technical institutions in the country in two different prestigious categories and won the FIRST place. The Team won the First place in the Marketing and Sales presentation Award as well as Go Green award with cash award of Rupees 40,000/- for each. The team had made an Innovative Catalytic Convertor which was capable of reducing the emission level significantly. They had also devised an innovative technology to reduce the noise and vibration of the vehicle. Thus the vehicle was considered to be very much ECO-FRIENDLY during the technical assessment and secured maximum score points. The ideology of making a prototype of the actual vehicle for marketing event was greatly appreciated and attracted all the judges. The team stands in top 10 position in all India level and 3rd position in Tamil Nadu State level.